This is one of my very favorite ideas for free time activities in the classroom. With the added management tips that are provided here, you will love it,too. You can make these at the beginning of the school year, in January when you have so many indoor recesses or any time when you want to provide quiet and fun things to do with your students. 1.) Use an online teacher supply store or, if you are lucky enough, an educational store in your community to buy 24-piece blank puzzles. You can buy them in bulk so that you have one for each student with one or two left over. The left overs can be used if you get a new student later in the year. 2) Buy envelopes that are large enough to fit the puzzle. The completed puzzle should be able to slide into the envelope without much extra space. The kind that works best has the movable metal closing device on the back. 3)***Here's the management tip*** Assign each child with a student number. It is best to do this according to the alphabetical list of students in your classroom. For example, Adam Adams might be #1 and Zoe Zepher might be #26. Use this number on all papers turned in. Putting them in order will quickly tell you whose paper is missing. For the puzzles, have students put their own number on the back side of every piece of their puzzle. Walk around to check to see if everyone has done this correctly. It will save time later when someone finds a missing piece on the floor. By looking at the number, you will be able quickly identify to which puzzle it belongs. Write the same student number in the top right-hand corner of the envelope. Puzzle #1 goes in envelope #1 and so on. 4) Next brainstorm some ideas for how students could decorate the puzzle. (Animals, aquarium, planets, sports logos, people, abstract designs) Remind them to think before they begin to draw. They will only have one puzzle and therefore they should strive to do the best. Do not take the puzzle apart yet–Keep the puzzle together as they work. Encourage them to have their picture cover the entire puzzle surface. *** To avoid marker or crayon marks on desk surfaces, you may want them to work on top of a piece of scrap paper. Envelopes can also be decorated. 5) As students complete their own puzzle, have them take it apart and be the first one to put it back together. Then they can trade the puzzle(along with the numbered envelope) to another student who is finished. 6)To end the activity the puzzles go in the correct envelope and the envelopes can be stored in a small basket. Leave the basket out for indoor recess or as a quiet activity to do when work is completed. piece numbers of how the puzzle fits together. Put each puzzle in a labeled envelope. Divide students into groups of four. Let's say for example that you have six groups. Give each group an envelope. The students work together to put the puzzle together and raise hands when they think they are finished. Using your answer key, check the puzzle quickly. If correct, the first group gets six points, the second group gets 5 points and so on. When all groups are finished, switch puzzles. Repeat the procedure. When each group has had every puzzle, tally up the points for each group to find a winner. Buy some jigsaw puzzles at garage sales or discount stores. You could also use puzzles that are missing pieces. Sort through to find the smallest and most colorful pieces. Use tagboard to cut a picture frame. Cut out the center area to fit over individual photos of your students. Allow about a 1"-2" border. Glue the puzzle pieces around the border of the frame, overlapping pieces to give it dimension. Add a tag that says,"I love you to pieces!" 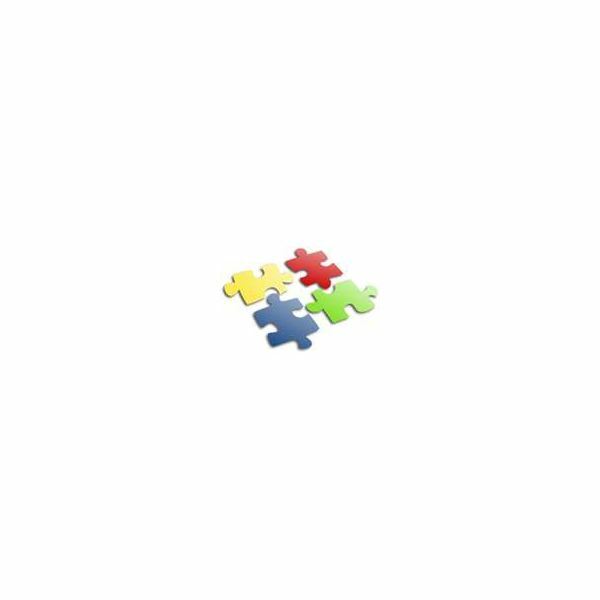 Jigsaw puzzles ideas for the classroom are easy, quiet, entertaining and educational for your students. Leave a larger puzzle out at all times in a spare space in the room. You'll be surprised when you glance up to find a few students gathered quietly cooperating to add a few more pieces. Keep it on top of a large poster board so that you can move the partially completed work easily if you need the space for something else. When the puzzle is completed, stop the class activity momentarily for everyone to "ahhhh" over the completed collaboration. A simple act like this builds team unity in your classroom. It's no puzzle that jigsaw puzzles are an important item in your classroom.